New shape 18" low step frame, adjustable riding position. 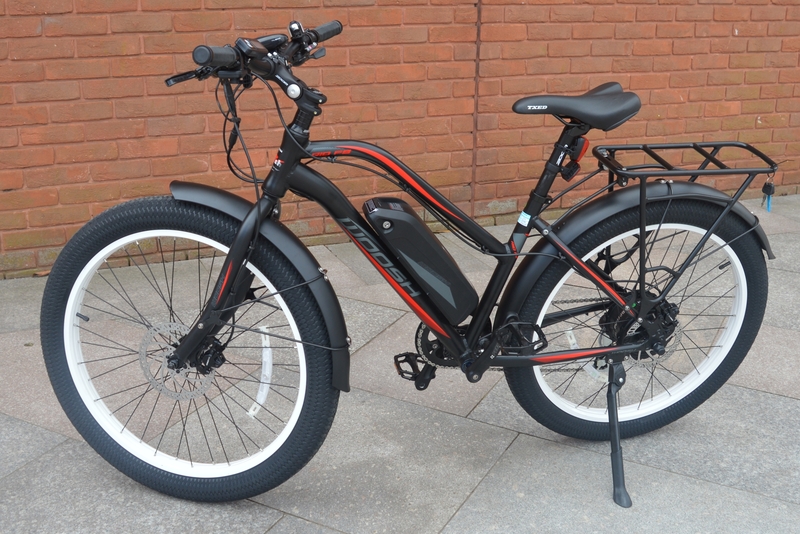 The range of the Rio LS for 13AH battery is 25-45 miles for 13AH battery depending on tyre pressure (15-35 psi) and terrain, 35-55 miles for the 17AH. The new Woosh Rio Low Step FatBoy is comfortable both on road and off-road. To turn on the electrics, press the red on/off button the LCD display on the left handlebar. There are 6 level of assistance, 1 provides the least assistance, 6 the highest. As well as pedal assist, the LS Fat Boy has a throttle on the left. 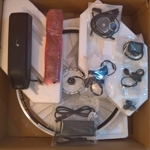 Start pedalling, the motor will kick in and the bike will woosh you along nicely - the motor is very quiet. Maximum assisted speed is 15mph and computer controlled. - Low step frame, perfect for having a child seat. 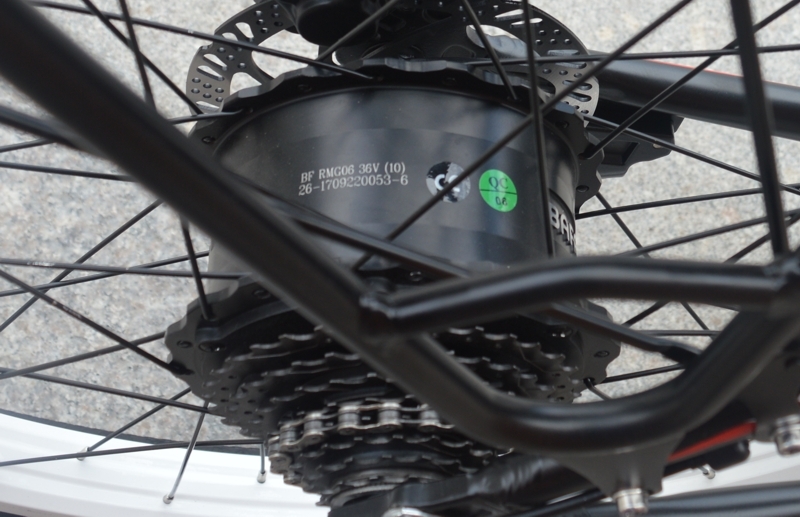 - Battery mounted on the downtube for better weight distribution and handling. 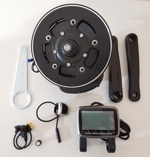 - Powerful Bafang G06 special motor for fat bikes with larger magnet core for more torque. - Controller neatly integrated inside the battery cradle. to ensure your ride comfort, we have installed very good Kenda 3" tyres. 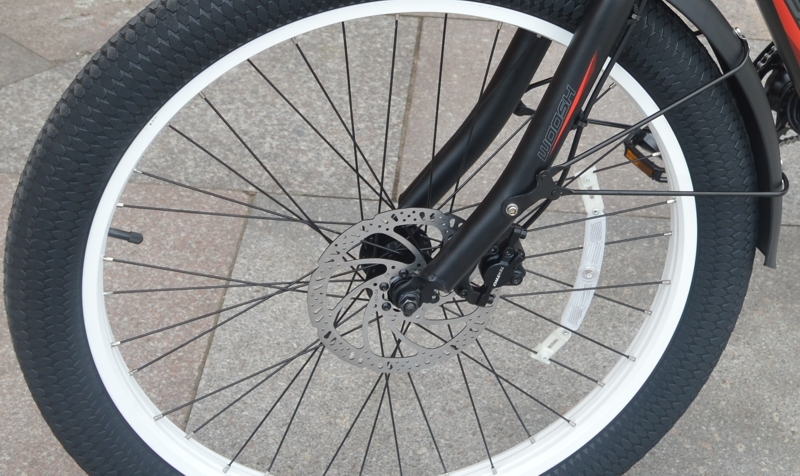 These tyres are for fat bikes, offering better grip and feel much better on road irregularities than normal tyres. 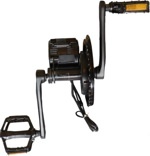 The Rio LS FatBoy comes with a 13AH, a 15AH or a 17AH Lithium ion battery depending on your choice. 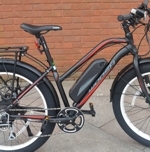 It is rechargeable around 800 to 1000 times and will last around 4 years if you use the bike regularly. A new spare battery costs £250 for 13AH including delivery. If you run on motor alone, you will need between 10WH to 12WH on flat roads, depending on your weight, speed, clothings and headwind. If you pedal along, even a little, you will extend the range. 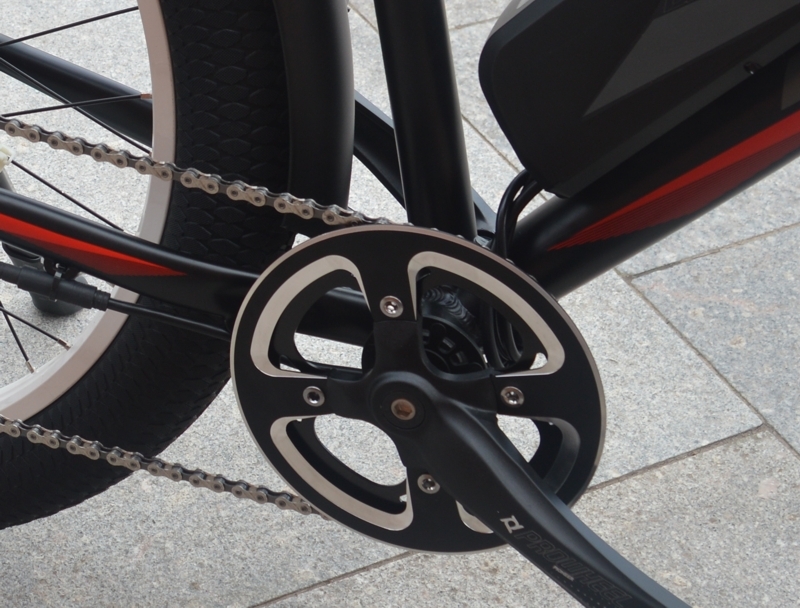 In creating the Rio FB, we are looking for best practical solutions to most common requirements for a good electric bike. Comfort, hill climbing, range, riding position, ease of maintenance and throttle control, all have been all taken of. 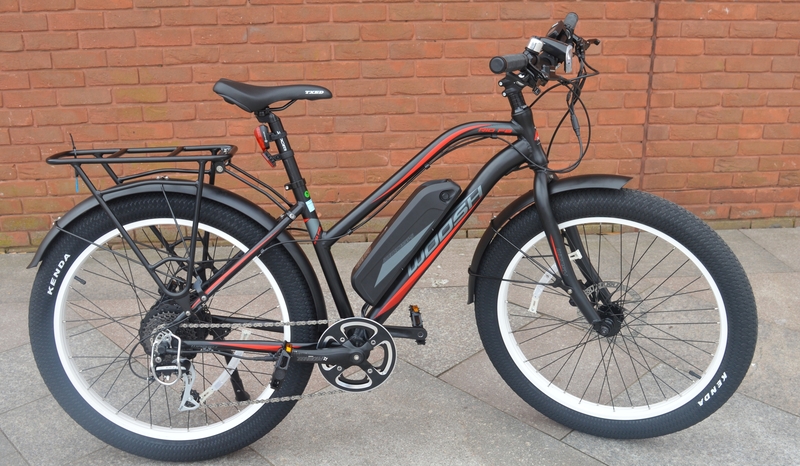 The result is a truly effective transport, comfortable and responsive bike for daily use.